Our Love Kitchen is working on some wonderful DETOX recipes and we will start to offer detox packages from October 2018 onwards. 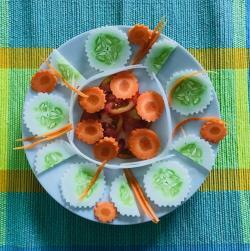 Mindful eating & happy food = happy stomach. Further news about our brand new detox offers soon here. 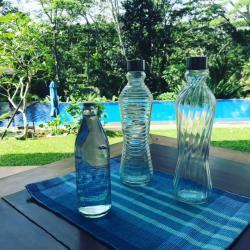 Niyagama House is not offering plastic water bottles and plastic straws to their guests. Old rice and chilli bags have been modified into our big shopping bags. And we constantly are looking for new ideas, planning right now a community school program to teach the small kids. Inspiration website: www.un.org/en/events/environmentday/ and www.byebyeplasticbags.org. May Mother Earth be happy, healthy and free > from single use plastic. Time is flying again ..... we are working on a new website design, while also looking back, being very grateful for the wonderful last peak season with so many happy guests ;-). 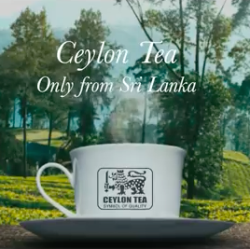 Soon you will find all news in our brand new blog, with more insights about new yoga classes, new detox programs and news about the daily life here in our beautiful Sri Lanka! Monday Morning Mandala J:-) in combination with mindful eating: our yummy veggie plate with hummus or curd raita. Have an energetic start into the new week guys :-). 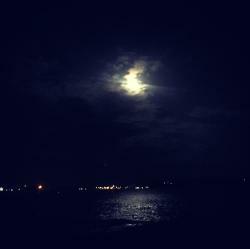 The full moon on Oct 5, seen from the charming Galle Fort, hiding behind clouds. 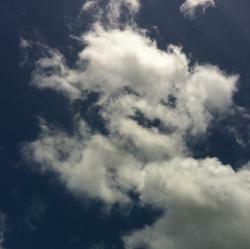 Mysterious, energetic, beautiful. 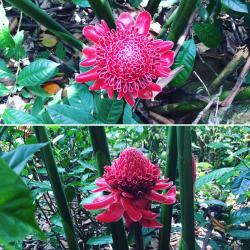 A beautiful ginger flower (Eltlinger Elatior) in the tea plantation of Niyagama House. Meditate on your October goals and dreams to let them become reality. 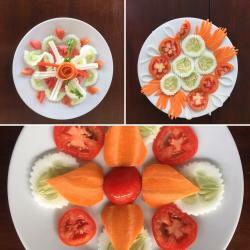 A yummy and healthy veggie plate with fresh hummus anyone? Greetings from the 'Love Kitchen' in Niyagama House :-)! 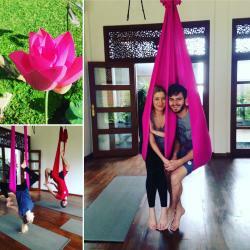 E & J enjoyed our 3 Day Yoga Bliss Retreat during their honeymoon, especially the Aerial Yoga Class ;-). All the best to both of you guys! Just a week ago the retreat week with Dhugal Meachem (www.dhugalmeachem.com / UK, Hong Kong) ended here in Niyagama House. 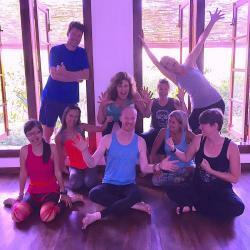 I am still missing the great Yin and Yang Yoga classes, the wonderful group and the fun we had! All the best for your future retreats & teacher trainings, Dhugal! And a big HUG to the whole "Leap to Lanka" group!!! What a great motivation! 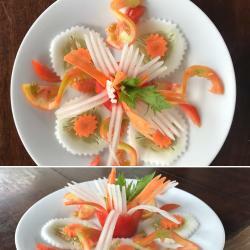 Enjoy watching this little peace of art! 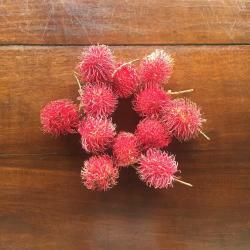 July - time fo harvest the juicy and healthy Rambutan fruit, a 'sister' of the better known lychee. Harvested in our organic garden as well as from all the trees, growing also in the tea plantation. Harvested not only by us, but also by our friends, the monkeys and many birds :-). A healthy and tasty treat, picked fresh from the tree... how wonderful is that? Come next July and do it yourself :-). 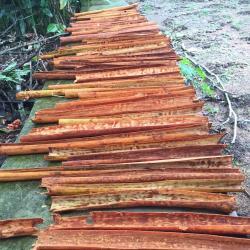 cutting the branches, peeling the outer layer in order to reach the layer below, which is the cinnamon that you will find in the shop after it was dried, packed, brought to the cinnamon collection place and from the to the companies. Come and try our delicious potato curry with a little twist of cinnamon inside ;-). Yummy! 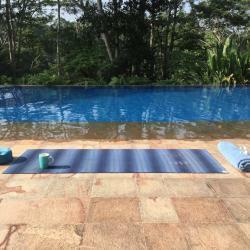 Sunrise - Meditation facing the sun - a cup of tea surrounded by birdsound - sun salutations on the yoga mat - and the jump into the pool being the final highlight :-)! Pure bliss in Niyagama House :-)! 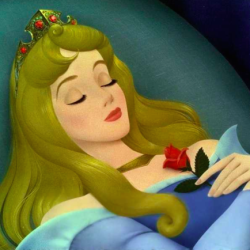 our 'News-Department' did play the 'Sleeping Beauty' during the last year... But we did not sleep :-). We did again try our best to make Niyagama House every single day a little bit more beautiful and our guests even more happy. And our brand new Tripadvisor Awards 2017 are the best proof, that we did a good job with this :-). 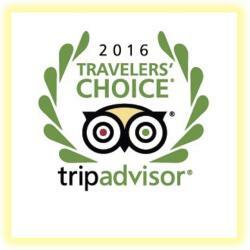 A BIG THANK YOU to all, who made this happen with their wonderful reviews!!! 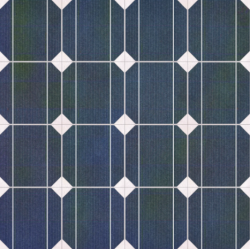 Niyagama House is using Solar Power!!! 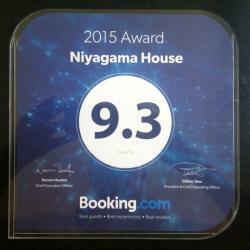 Our second Award from Booking.com, which is dependent on all the reviews of our guests booked on Booking.com! A very big THANK YOU again :-)))!!! 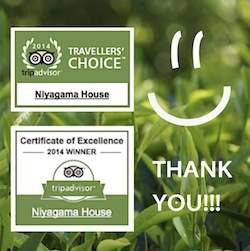 For the third time in row Niyagama House wins the wonderful Tripadvisor Traveller's Choice Award > Happy House :-)))!!! A very big THANK YOU to all our fantastic guests who did take the time to write a review!!! We were all very fine and Niyagama House full of fantastic guests, just this page with the latest news was sleeping for a while... We promise improvements ;-)! A big hug and a huge THANK YOU to our guests Lucy & Nicholas, who were here in November last year. They sent a positive note to this city guide and here is the wonderful result, about which we are extremely happy! 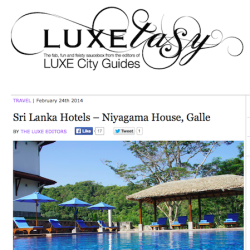 After the first successful 15 month in business there is finally time to activate our "Niyagama News" page ;-)!!! And which news could be better than the proud announcment of our Tripadvisor Awards for 2014?!? We are still completely amazed that we achieved them so quickly and will do our very best to manifest the ones for 2015 as well ;-). A huge THANK YOU to all our guests who took the time for writing a review!!! And in order to share our happiness, we prepared a Special "Thank You" Offer that is valid for the next six months!